The worst thing is when you’re not around anywhere to plug in your cell phone when it dies! 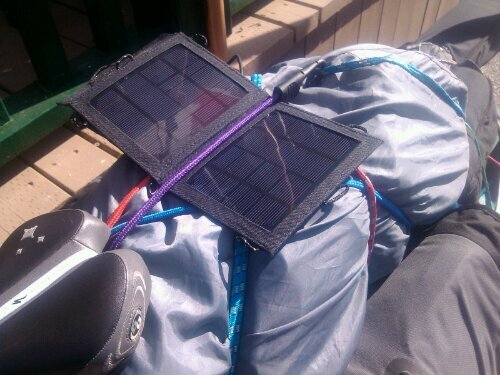 Before I left on the trip I went and picked up a solar powered battery cell phone charger. It works great if you need to charge your phone from time to time but it take too long to get the sunlight to charge the onboard battery. I tried blogging last night and the my cell phone died. I had to wait ’till this morning to collect sunlight to recharge the battery. Definitely worth having when you neeh to get your phone charged and you’re in the bush! Thumbs up! July 13, 2013 in christian ministry. I like that little gadget. We have solar power to spare so no problem charging your equipment when you get here. Sounds great Art! I’m really looking forward to seeing you and Mary and to do some fishing!